Sunrun gets up at the gallery! 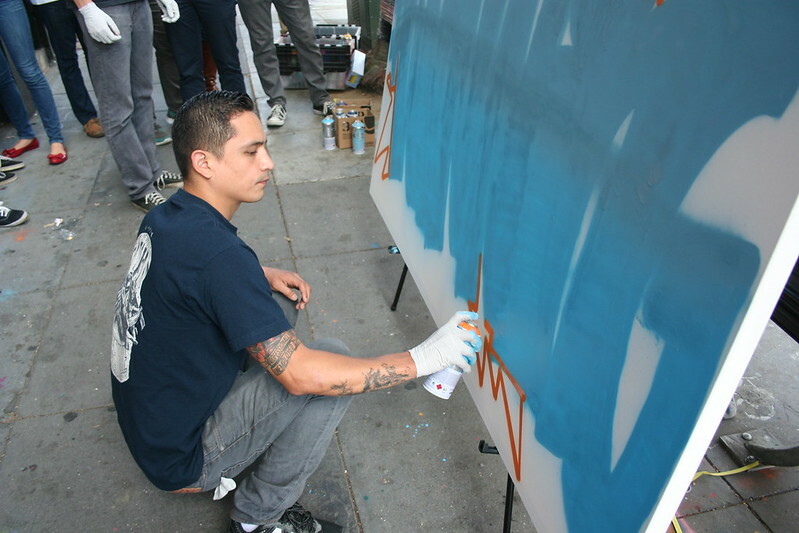 Home/Events, Graffiti Art, Mural Production, Team Building Workshops, Uncategorized/Sunrun gets up at the gallery! Sunrun paid us a visit at 1AM to give their hard-working team a break and the team made the most of their extended afternoon of painting! 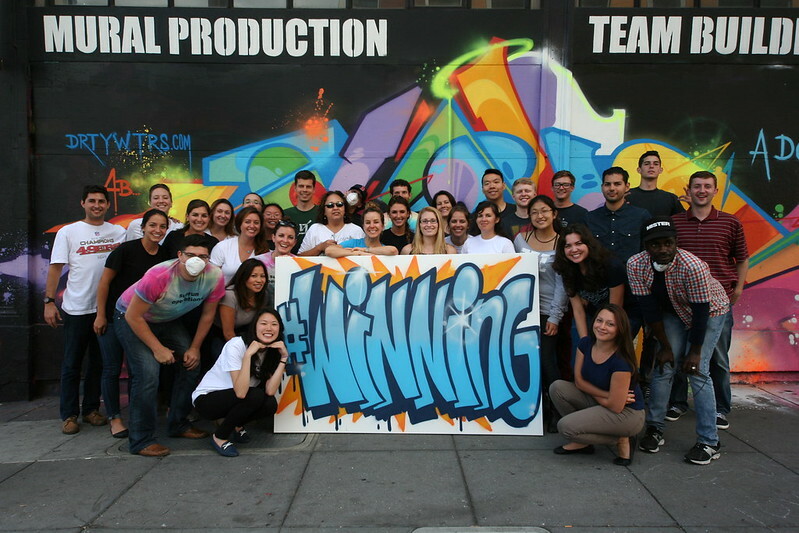 Working with us to create a specialized workshop which included time for pizza and company bonding exercise, the team seemed to have a blast helping our teacher paint a mural with the inscription “#Winning” that they could take back with them to their office. Send us an email at privateevents@1amsf.com to schedule your team’s next event with us!